A decade ago, eight-year-old David Charleston watched as his father was slaughtered by a superman called Steelheart. Ever since that horrific day, David has been studying the weaknesses of that killer and his superhuman kin. Now he has joined the Reckoners, the crew of humans dedicated to vanquishing these vicious tyrants who rule the earth. Read it before you see it . . . .
Before you catch the season's most anticipated films, read the books that inspired the movies. From the action-packed Catching Fire to Markus Zusak's unforgettable The Book Thief, there's plenty to explore before these books hit your local theater. Who�s Afraid of High School Biology? Many high school students, not to mention the adults who have gone before them, find the thought of high school biology daunting. To make the learning experience easier and more enjoyable, longtime biology teacher Roger Prior has just released in eBook form the latest updated versions of his acclaimed Biology Study Guides. These easy-to-use resources are available in two volumes or as separate units. 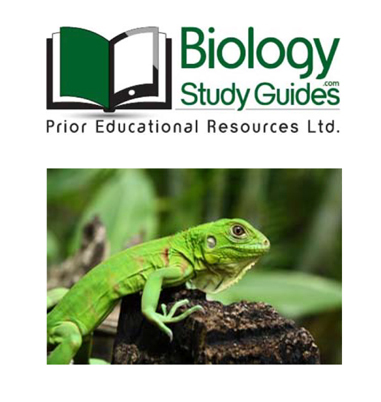 Each title in the Biology Study Guides series is carefully designed to focus on essential content, increase student comprehension, extend thinking about the topic being presented, and to greatly enhance students� chances of successfully completing their high school biology class. Featured in every study guide are full interactive glossaries for technical terms, interactive questions linked to their answers, labeled diagrams, some interactive with quiz-view formats, and various check-up and discussion questions. Prior first began compiling his teaching notes and lesson plans into study guides for high school students in the late 1990s; his first paperback version was released in 1999. Fourteen years and numerous editions later, he is pleased to be offering these updated electronic versions. Prior comments, "I wrote these study guides based on my ongoing desire to develop useful learning resources for students." He adds, "A lot of students struggle, and I wanted to make biology easier for them." AUTHOR:Roger Prior began teaching senior biology in British Columbia, Canada, in 1976. He retired from teaching in 2012, and with the encouragement and support of his family and others, successfully converted his popular study guides into interactive eBooks available as individual units or in two volumes. WHAT�S NEW IN YOUR KIDS LIBRARY? Educators and doctors agree it is good to read to your kids and with your kids. Below are some sites where you can find the latest new books for children.